Other knitting has been very boring (not to me, you know, ’cause I’m really enjoying it…but nothing exciting to show at this stage). Some progress on forest path stole, more on the current shawl, a few more blanket squares made. This week promises to be fairly quiet, apart from a night out tonight, but next weekend it all kicks off and gets a bit manic for a while. Probably. 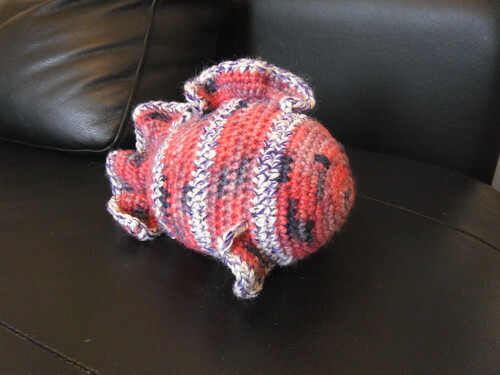 This entry was posted on July 30, 2011 at 10:08 am and is filed under knitting, Wildlife. You can follow any responses to this entry through the RSS 2.0 feed. You can leave a response, or trackback from your own site.